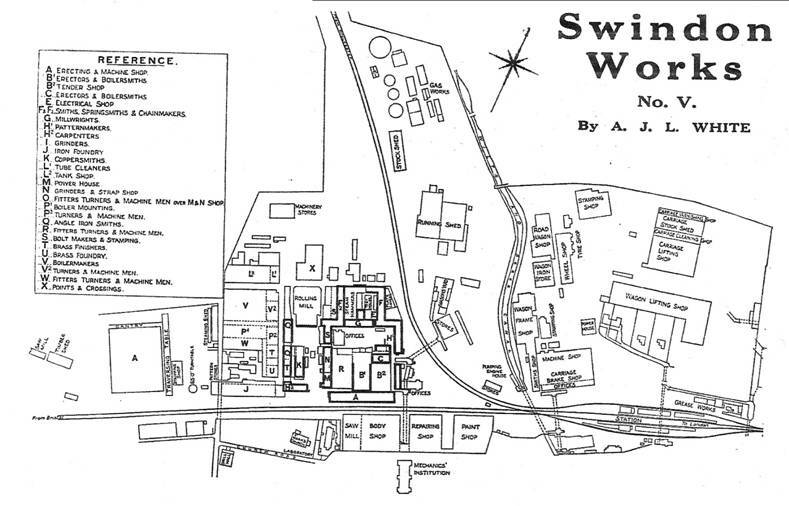 Swindon Railway Works World War One 1915 – 1920. Enlisted men of Swindon Works, who have been reported killed, wounded, missing or died in service. Adams WJ. Passenger Dept., Swindon 1916. Alder A E. No. 13 Shop Wagon Frames Carriage Dept. Swindon 1915. Knight George E. Locomotive Works, Swindon 1917. This list of 507 Swindon men are extracts from the ‘Great Western Railway Magazines’, and for the first time from the ‘Book of The Great War’, showing contemporary records compiled by the GWR that have recently been made available and is held at Steam – Museum of the Great Western Railway. More comprehensive information is available from the museum and on their web site WWW.Steam-Museum.Org.uk. There can also be seen a list of GWR fatalities with cameo photographs on the Wall of Names computer at the Museum. N.B. Men with Christian names shown here are from the GWR Magazines.